Is there a "shipping & handling" charge added to my order? Can I get a drawing without a PO? Do you offer Heat Treatment for export shipments? 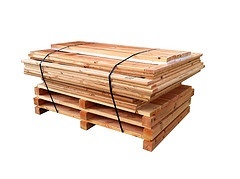 Can we buy lumber or dunnage with ISPM 15 stamps? Can I get a corrugated sample? What is the minimum box quantity a mill will run? What is the best corrugated board test to use? What is the difference between Bursting (Mullen) Test and Edge Crush Test? What is a Nuna Flap? A: 7:00 A. M. and 3:30 P. M. PST, Monday through Friday, except holidays. A: No minimums apply on our manufactured goods such as; wooden crates, reusable crates, material handling equipment. Q: Is there a "shipping & handling" charge added to my order? A: Shipping & handling charges are dependent on the services you purchase and the method of shipping used. Q: Why don't you list pricing? 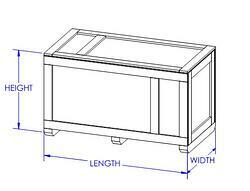 A: All our packaging is custom built specifically to our customer's specifications. Therefore, we don't carry stock sizes of our wooden crates . Q: Can I get a drawing without a PO? 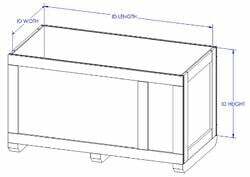 A: We can provide standard and basic box drawings free of charge. 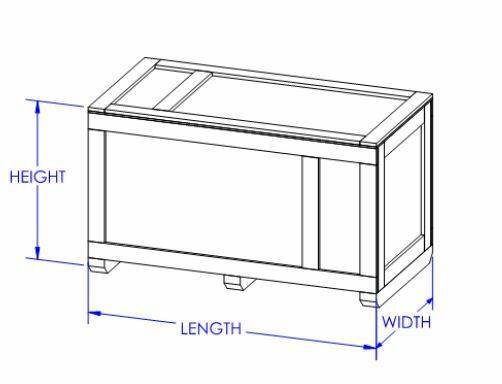 However, custom designed drawings which require longer amounts of engineering time will require a purchase order from the customer before the drawing can be released. 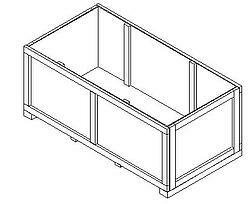 Since Valley Box does not charge for engineering time all drawings are considered the proprietary property of Valley Box Co. Inc and may not be disseminated or distributed to parties unrelated to the entity in which the drawings were intended. A: Our answer depends on the distance of your location from our warehouse and on the carrier that you selected. The level of carrier service can also have a direct bearing on delivery. Q: Do you offer Heat Treatment for export shipments? A: Yes! 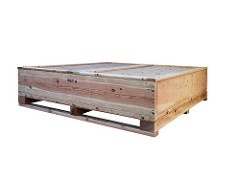 In fact ALL of Valley Box's wooden crates & other wood products are Heat Treated and certified by the USDA. Heat Treated Wood Materials are required for certain international transit by the USDA. Learn More: www.aphis.usda.gov. Q: Can I buy lumber or dunnage with ISPM 15 stamps? Q: Can I get a corrugated sample? A: Most stock sized samples are free, however charges may apply for custom sizes. In some cases a shipping charge will apply. Q: What is the minimum box quantity a mill will run? A: It depends on the style of box requested. Most mills’ minimum run is no less than 50 boxes for kraft and one side white. It does vary on chipboard style boxes, which is typically nothing less than 1000. If the board is something the mill has to order in such as 2 side white the minimum order could be as many as 10,000 depending on the box size. Q: Stock boxes vs custom? A: Stock boxes are readily available and come in varying bundle counts depending on the size. Custom boxes require a longer lead time and depending on the style there could be a onetime cutting die charge or if the boxes are printed there could be a onetime print plate fee. Q: What is the best corrugated board test to use? A: It depends are what you are packaging. It also depends on what is being a packaged, sharp edges, weight not being evenly distributed etc. Below is the weight limitation to each board test. Q: What is the difference between Bursting (Mullen) Test and Edge Crush Test? A: There are currently two tests used throughout the corrugated industry to determine strength. Historically, the long time industry standard has been the Bursting (Mullen) Test, which is related to the rough handling durability of corrugated material. Bursting Test is a measure of the force required to rupture or puncture the face of corrugated board and is measured by a Mullen Tester. This force is indirectly related to a carton’s ability to withstand external or internal forces and thus to contain and protect a product during shipment. Bursting strength is reported in pounds (for example, 200#). A newer standard that has achieved widespread acceptance is the Edge Crush Test (ECT). This is a true performance test and is directly related to the stacking strength of a carton. ECT is a measure of the edgewise compressive strength of corrugated board. It is measured by compressing a small segment of board on edge between two rigid plates perpendicular to the direction of the flutes until a peak load is established. This is measured in pounds per lineal inch of load bearing edge (lb/in), but usually reported as an ECT value (for example, 32ECT). Q: What is a Nuna Flap? A: A nuna flap is a piece of corrugated on the top flap that keeps the flaps open until customer cuts it out. The nuna flap helps the mills in production to keep the box straight, it gives strength when passing through the folder/gluer section. Q: What are "Litho Labels"? A: Lithographic Labeled Boxes Litho Labels (short for Lithographic Label) are used for high end graphics on corrugated packaging printed on separate sheets of usually 70 # C1S paper. The process used to print litho labels is capable of printing higher line screens than flexographic processes can. This provides higher resolution graphics on corrugated packaging. The litho label can be process printed (Cyan, Magenta, Yellow and Black), PMS ink color matched with additional colors or both. The litho label is trimmed and is fed through a machine that applies adhesive and places the label on the corrugated sheet. 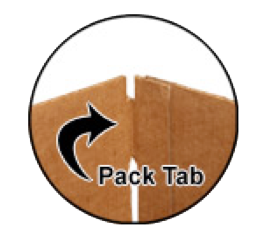 Labels that cover the entire corrugated sheet are called full label. Labels that do not cover the entire corrugated sheet are called spot labels. 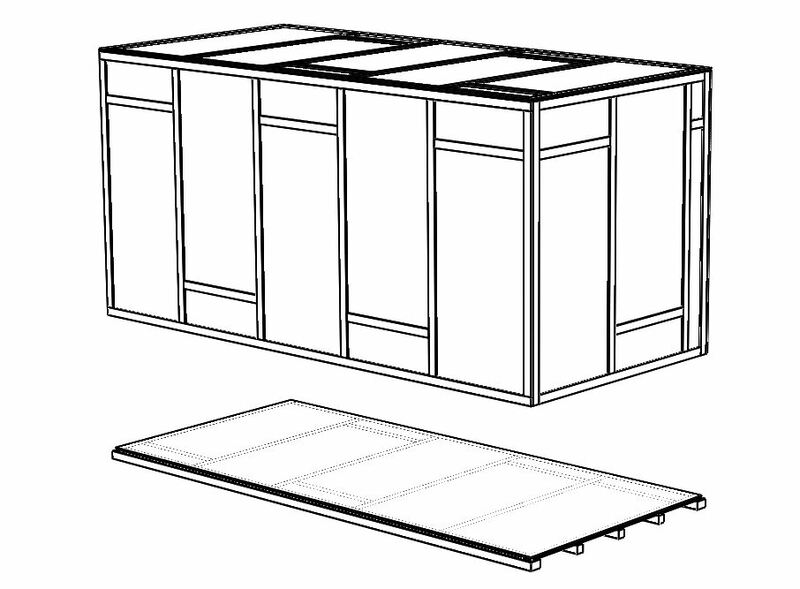 The bottom panel or section of the crate or box and all its components. Blocking and bracing is the practice of using pieces of wood to prevent free movement of a packaged item. Dimensional lumber is custom sized during a pack job to strategically hold a product in place during transit. In addition, blocking and bracing is used to distribute the load of the contents over as much of the container surface as possible and to support the contents in such a way that the load is applied at the strongest points of the container. 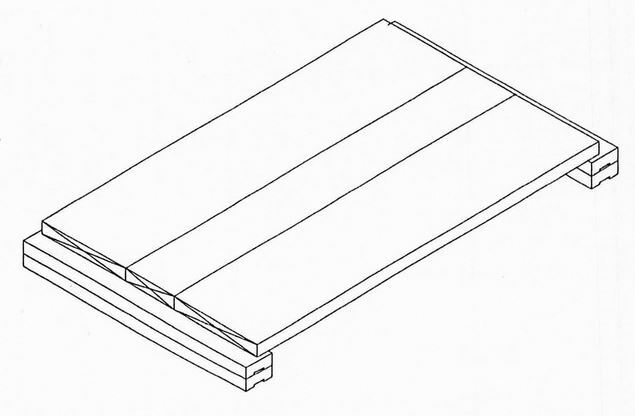 A flat surface made by cutting off the edge or corner of a block of wood. The amount of space between two objects. When discussed in 'packaging' this refers to the part's proximity to the packaging. When discussed in 'freight' the refers to the outer dimensions (OD) of the package itself. 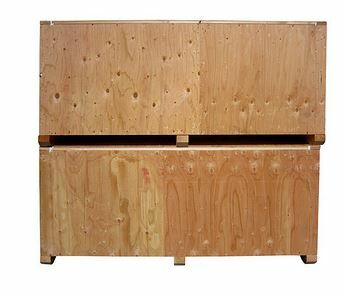 The lumber boards which adds to the framing structure to reinforce the crate or box and adds bulk to the edges for nailing or stapling purpose. 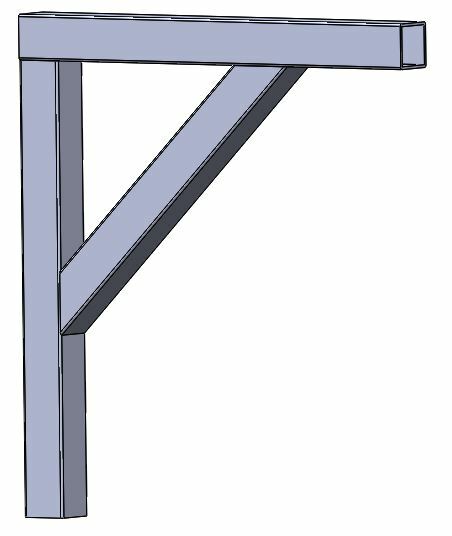 To secure a nail or staple by curving the pointed end that protrudes through the wooden frame member back into the wood at 90-180 degrees. 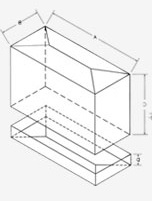 A container that is designed to come apart and be stacked on its own base therefore reducing the containers overall cubic dimensions. This can reduce freight fees for return shipments as freight is based off cubic feet as well as weight. 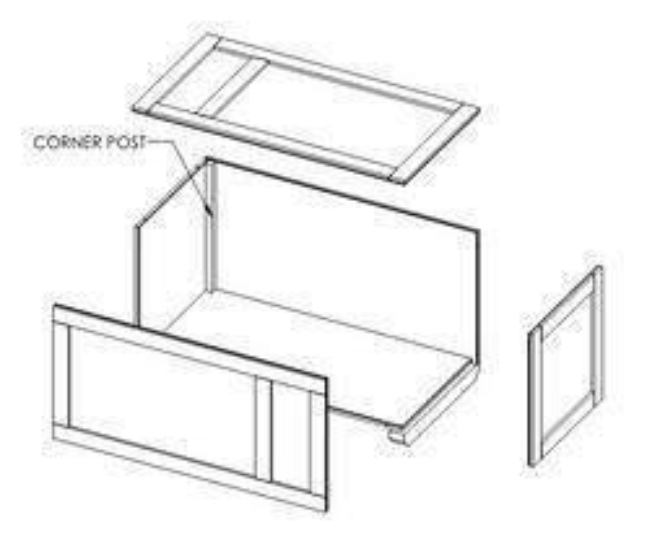 Additionally, collapsing containers can free up shop floor space when they're not in use. The vertical frame members placed between the upper and lower frame members of the side and end panels and serve as columns for supporting vertical stacking loads. A container used in the transportation and storage of items to prevent the item inside from damage caused by the outside environment. 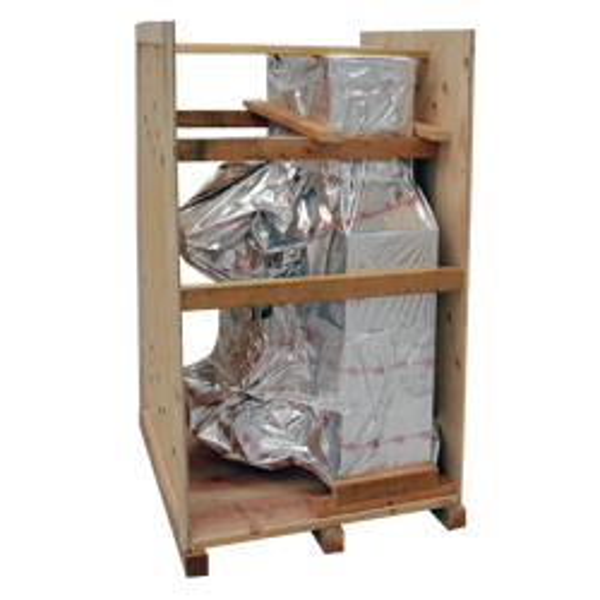 Material used to mitigate the adverse effects of vibration and abrasion during the shipping, storage and handling of a package. If the authorities identify at the point of import that wood packaging does not carry the required mark or if the detection of pest infestation provides evidence that the treatment may not have been effective, countries may take a variety of actions, such as: Detention, Quarantine, removal of non-compliant material, treatment or repackaging at the expense of the importer, destruction, re-export, fines and/or penalties. • Greater than 3 cm in width, with the total surface area of the piece of bark less than 50 square cm (7.75 square inches). A desiccant is a hygroscopic substance that induces or sustains a state an environment free from moisture (desiccation) in its local vicinity in a moderately well-sealed container. The distance between two points. 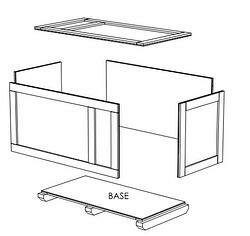 When measured for packaging it means the horizontal and vertical distance from the inside face of each panel to its opposite panel. Always measured in Length Width and Height in that order L x W x H. Dimensions can be expressed in both outer dimensions (OD) and inner dimensions (ID). Electro-Static discharges are momentary currents naturally caused by static electricity in the air. The wavy material between the flat liner sheets in corrugated products. 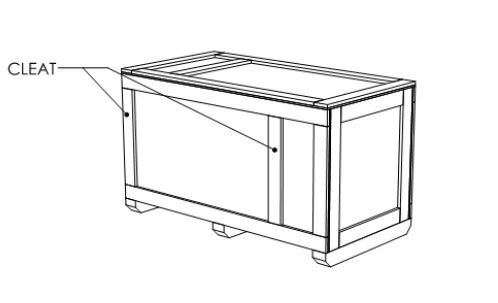 Frame members are those parts which form the fundamental crate structure upon which the strength and rigidity of a plywood-sheathed crate depend on. Gussets are thick sheets of plywood or steel that are used to connect truss members. They add shear strength to construction. Used to lift both boxes and lids. Secured with 4 screws or lag screws. Headers are either transverse members at each end of skid bases or longitudinal members at each end of top joists to maintain rigidity for heavy payloads. The symbol - The design of the symbol (shown in the left half of the example that follows) should resemble closely the one shown in the example below and be presented to the left of the other components. Producer or treatment provider code - The producer or treatment provider code (shown in the example as 000) identifies the producer of the WPM or the treatment provider who applies the mark. The codes are assigned by the National Plant Protection Organization (NPPO) of the country of WPM production or treatment. Treatment code - The treatment code (shown in the example as YY) is an approved abbreviation indicating either heat treatment (HT), dielectric heating (DH), methyl bromide treatment (MB). The code must appear on a separate line from the country code and producer/treatment provider code, or be separated by a hyphen if presented on the same line as the other codes. The distance from the floor to the highest point of the payload. 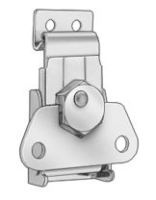 Horizontal cleats are members positioned between struts and parallel to the upper and lower frame members and serve to reduce the unsupported span of the sheathing. 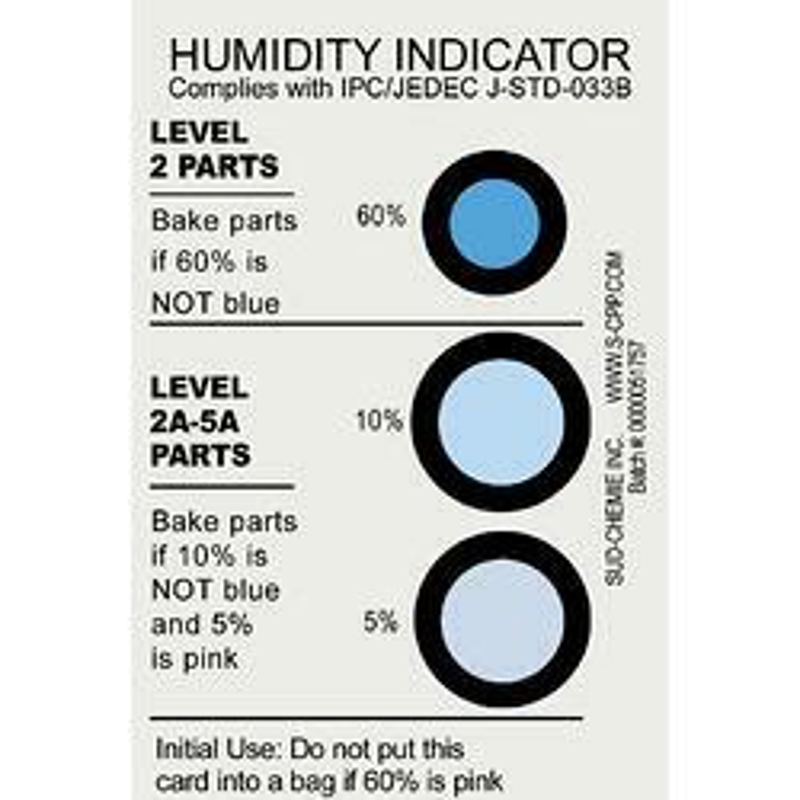 A paper card or Plastic/Aluminum plug which indicates the percentage of relative humidity present by changing color from blue to pink as the humidity levels rises. The distance from the inside of the top to inside of the bottom of the box. Commonly refereed to as ID or inside dimensions. The International Plant Protection Convention is an international plant health agreement that was established in 1952. As of 2013, there were 180 contracting governments that are signatories of the IPPC, all of whom share the same goal: to protect the world’s cultivated and natural plant resources from the spread and introduction of plant pests while minimizing interference with the international movement of goods and people. The IPPC provides an international framework for plant protection that includes developing International Standards for Phytosanitary Measures (ISPMs) for safeguarding plant resources. The IPPC has adopted a minimum standard for Wood Packaging Material (WPM), known as the ISPM-15 standard, which is part of this international framework. WPM made of processed wood material, referred to as man-made or engineered lumber, is exempt from compliance with the standard. The ISPM-15 standard requires that WPM be debarked, treated, and marked with the standardized, accepted stamp certifying compliance, as defined further in this section. Members extending across the crate or box underneath the top which serve to support and transfer vertical stacking loads to the side panels. Joist also serve to prevent crushing or buckling of top panels when slings or grab hooks are to lift the box. 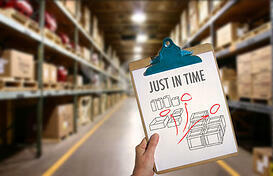 Just in Time (JIT) is a practice that is used in many industries use to assure that production is not interrupted by shortages. With a JIT program sudden changes in demand can be responded to quickly and a build-up of unsold finished product can be avoided. This means that less time is spent on checking and re-working the product of others as the emphasis is on getting the work right first time. Is the longest dimension of the payload that is touching the ground. Transverse base members which serve to distribute and transfer loads to the outside skids. Wood packaging material made entirely of processed wood material, referred to as man-made or engineered lumber. Man-made wood includes plywood, oriented strand board, timber strand, and veneer that has been created using glue, heat, pressure, or a combination thereof. 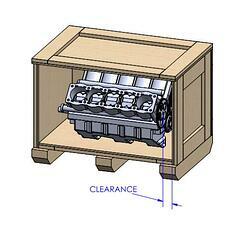 Man made wood is exempt from the ISPM-15 requirements. Engineered wood particle board formed by adding adhesives and then compressing layers of wood strands (flakes) in specific orientations. Good for things that do not come into contact to miosture. 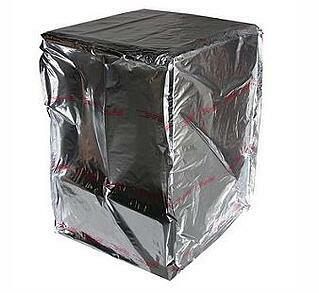 Because of its lack of durability, Valley box does not use this material in the onstruction of their boxes. A sheet material manufactured from thin layers or "plies" of wood veneer that are glued together with adjacent layers having their wood grain rotated up to 90 degrees to one another. AA-Grade Face - Highest quality veneer you can specify in any particular species. The veneer will be smooth, tight cut, and full length and free of any visible defects or abnormalities. A-Grade Face - an “A” face on hardwood plywood should be matched for both grain and color. All veneer splices should be book-matched for a visually pleasing appearance. There should not be any abrupt changes in color or grain between the splices. An “A” face will not permit sound knots, repaired knots or rough-cut veneer. An A face may allow slight mineral streak and/or vine marks. The number of defects such as pin knots or small burls varies according to the specie of veneer. 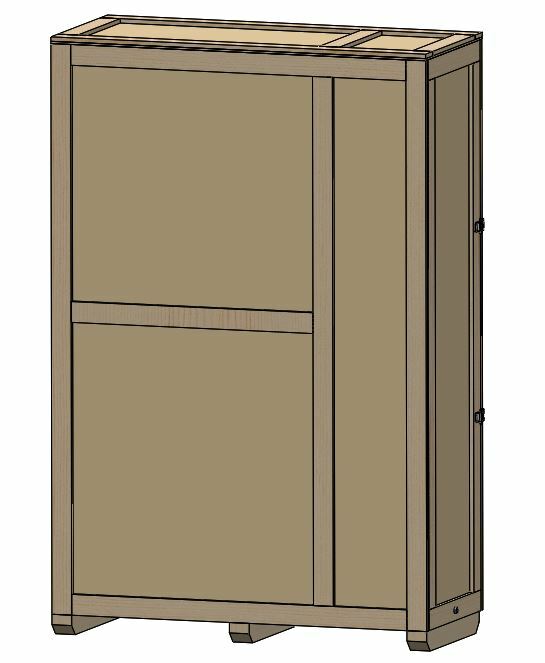 This is the best face grade on plywood normally stocked and is often used for upper-end cabinetry, architectural millwork, and quality furniture. B-Grade Face - a “B” face on hardwood plywood should be matched for a pleasing color, but not necessarily for grain. “B” grade faces are generally very similar to “A” faces, but do allow some sound or repaired knots and some slight rough cut veneer. “B” grade faces will also allow slight mineral streak and vine marks. C-Grade Face - a “C” face on hardwood plywood allows for unlimited pin knots and small burls. A “C” face can also contain repaired knots and sound knots. The “C” grade will also allow unlimited mineral and vine marks. A “C” face should be a sound smooth face. A “C” face is used primarily on paint grade type panels, in lower-end case work, and for cabinet interiors in upper-end cabinetry. 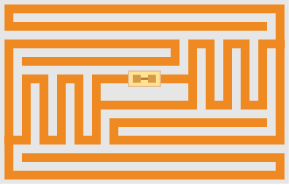 In the world of packaging and shipping, RFID offers more than just protection against theft and fraud. It helps businesses track damage, loss, error, expiration, slow delivery, and more. Shipping crates and containers are the most popular way to ship cargo around the world. RFID allows companies to track containers and shipping crates. 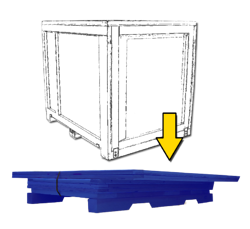 The wood packaging material nailed perpendicular to the skid bottom to allow the crate to slide when handling with a forklift. Is the strength of a material or component against the type of yield or structural failure where the material or component fails in shear. A shear load is a force that tends to produce a sliding failure on a material along a plane that is parallel to the direction of the force. 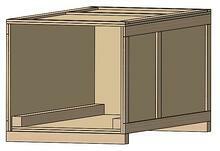 Sheathing is the plywood, boards, or Oriented Strand Board (OSB) nailed to the frame members and enclose the crate. 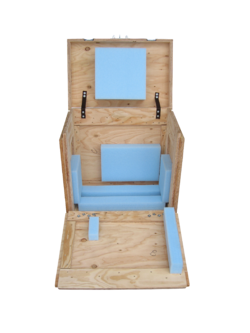 Skids are lateral members attached to the base of the box which serve to support and transfer the load to the surface of the base. Vertical frame members, placed between the side and end panels’ upper and lower frame members, and serve as columns for supporting vertical stacking loads. The end struts are sometimes referred to as corner posts. Wood packaging materials are often required to be treated with either heat or methyl bromide. Heat treatment must be conducted in accordance with a specific schedule that achieves a minimum temperature for a minimum duration of time throughout the entire profile of the wood, including its core. Various acceptable procedures exist including treatment by steam heating, kiln-drying, heat-enabled chemical pressure impregnation, and dielectric heating (microwave, radio frequency). Methyl bromide treatment requires fumigation in accordance with a schedule identifying temperature, time, and concentrations. 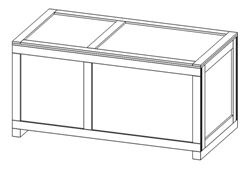 The top, sides and ends of the crate or box when not attached to the base. Accomplished by placing item or assembly , with the proper amount of activated desiccant into a water-vapor proof barrier. Corrosion will not normally occur when a relative humidity of 30 percent is maintained within the barrier. Effective for a period of 18 to 24 months. 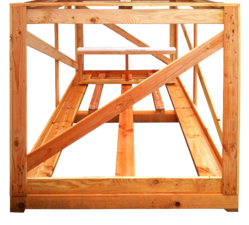 Vertical members attached to the crate sides inside face, which serve to support the joists and assist the struts in supporting vertical stacking loads. 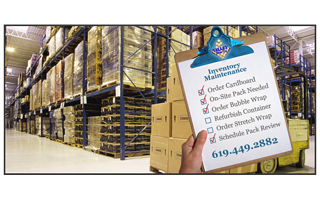 Utilizing Valley Box's vendor inventory monitoring program is a cost effective way to guarantee that shortages do not occur. We’ll keep a close eye on your packaging inventory for youand replenish your stock as needed to keep your operations running smoothly. Eliminate the presence of inbound packaging waste from the manufacturing area. Is the shortest dimension of the payload when touching the ground. 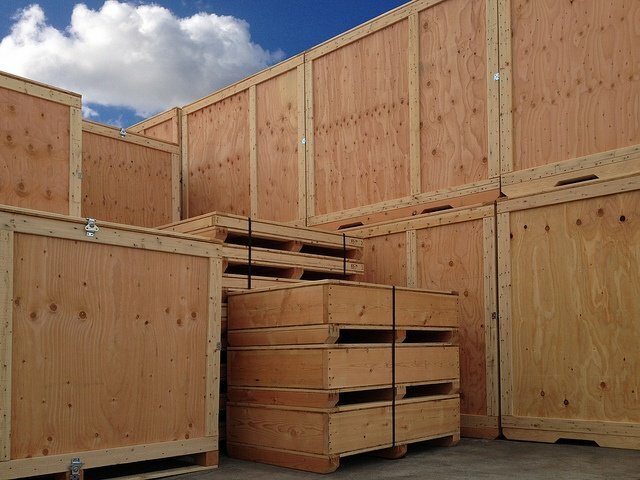 Solid wood packaging materials, such as dunnage, crating, pallets, packing blocks, drums, cases, and skids that are used to prevent damage to cargo.